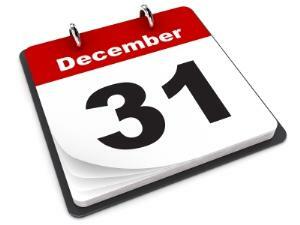 December 3, 2013 marked the second annual Giving Tuesday. Following Black Friday and Cyber Monday, Giving Tuesday challenges us to rethink how we give during the holidays. Giving Tuesday is a day that encourages us to give to charity. It's particularly timely since 'tis the season...the end-of-year fundraising season, that is. And, in order to get people to give, you need to ask. It's as simple as that. If you haven't already sent out your last appeal of the year, there's still time. Here's a checklist of 8 ways to make the most of your year-end campaign. Be sure to match your message to the medium. If you're asking a donor to give electronically (via email), make it easy for them to click to give via your website. Did you know that one-third of online giving occurs in December, and 22% of annual giving happens in the last two days of the year? That's why it's especially important to have a donor-friendly website now. Is Your Website Ready To Receive Online Donations? If your website isn't there yet, you'll want to check out this month's Tips Of The Trade (at the end of this email) to make sure you're ready to receive online donations next year. Will you accept my challenge and make it your New Year's resolution to make your website more donor-friendly? More user-friendly in general? Maybe even mobile-friendly? Send me a message and let me know what changes you'll be making to your website in 2014. I love hearing from you. Just like there's more to grant writing than just "writing," there's also more to fundraising than just grants. Like online giving. Here are links to three useful articles that will help you improve your website and your online fundraising. Is Your Website Turning Away Donors? Is Your Nonprofit Website Open for Business?